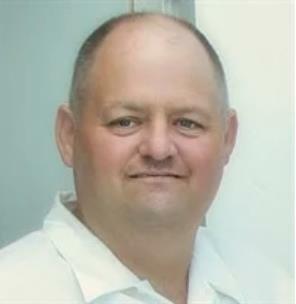 Dwayne Edward Hickman, 56, of Dayton, Tennessee, passed away on Thursday, January 17, 2019 at Memorial Health Care in Chattanooga. He was born on Aug. 1, 1962 in Montgomery Co., Oh., and lived in Dayton for most of his life. Dwayne was preceded in death by his father, Charles Robert Hickman. He was a molding operator at IAC in Dayton and owner of Digit Game Fowl, his chicken fighting passion. He is survived by his wife, Carrie Louise (Klevorn) Hickman of Dayton; his son, Justin (Tasha) Hickman and his grandson, Hagen Hickman both of Evensville; his mother, Dorothy Dean (Gadd) Hickman of Evensville; his sisters, Kathy (Mike) Webb of Evensville, Vicky Gentry of Graysville and Nancy (Larry) Hood of Kansas; his brother Jerry Hickman of Dayton Mountain; his special nephew, George Lovins of Dayton and many nieces and nephews. Funeral services for Dwayne will be held on Friday at 3 p.m. in the funeral home chapel with Pastor Mike Breeden officiating. He will be laid to rest in Rhea Memory Gardens in Dayton. Please share your memories of Dwayne on his online guest register at www.vanderwallfh.com. The family is being cared for by the Vanderwall Funeral Home in Dayton where they will receive family and friends Friday afternoon after 1 p.m.